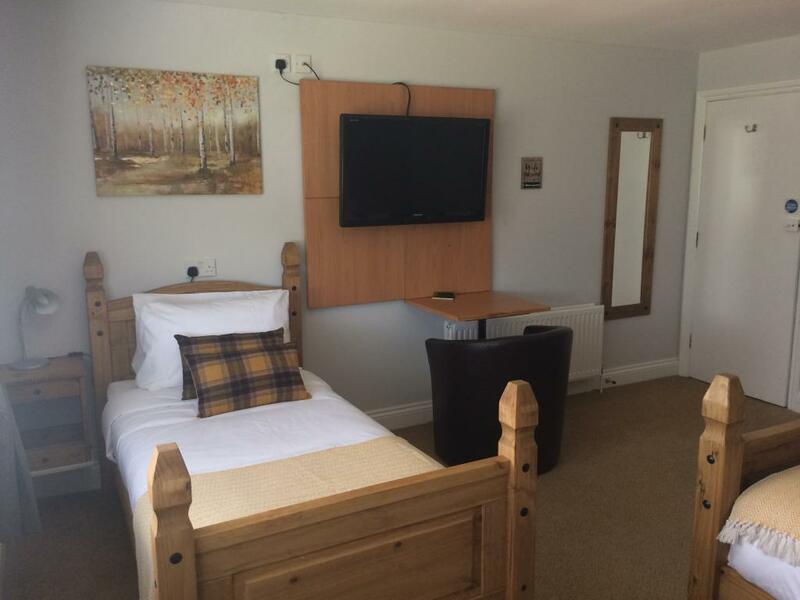 King size bedrooms are furnished with a comfortable King size bed, Freeview tv's, tea & coffee making facilities, iron & ironing board, hairdryer. 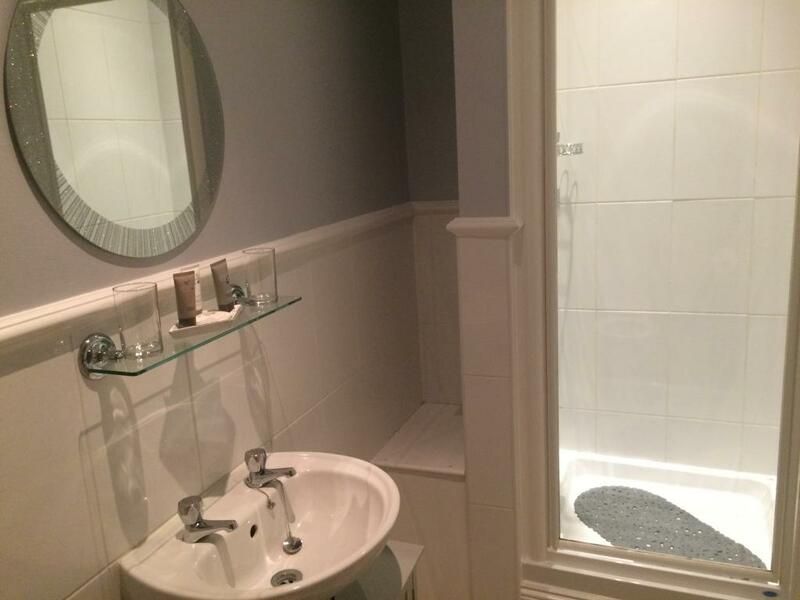 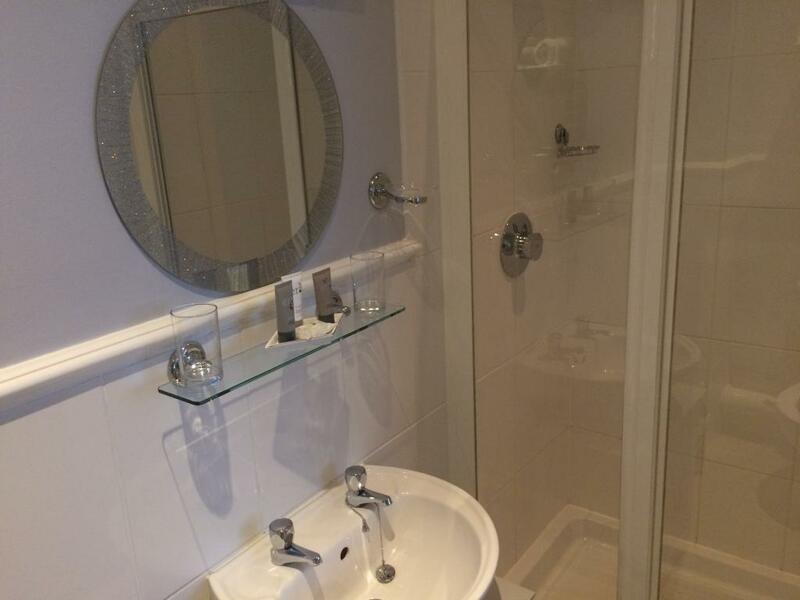 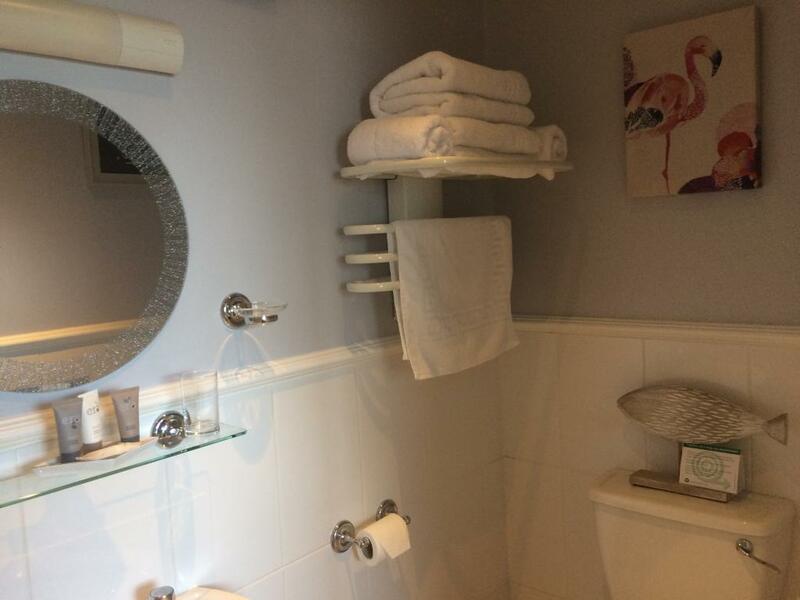 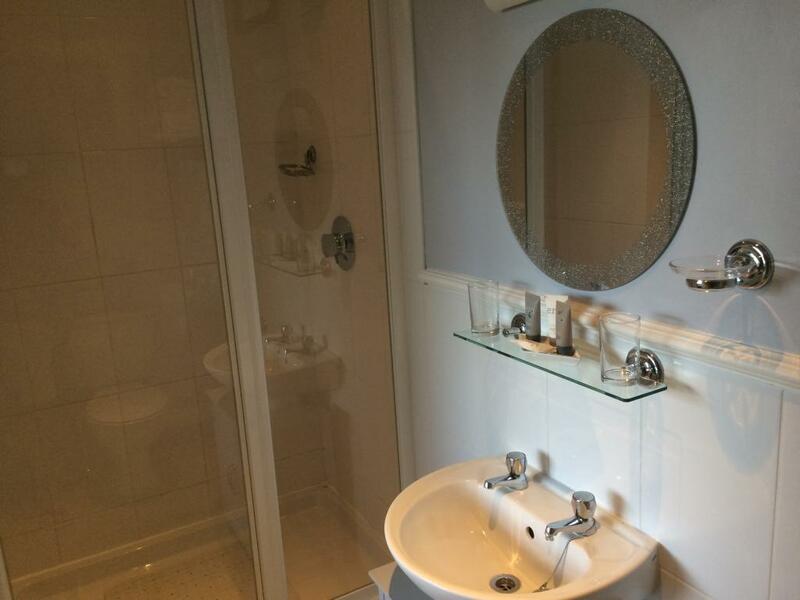 The modern en-suites are equipped with walk in shower, environmentally friendly luxury toiletries and fluffy towels. 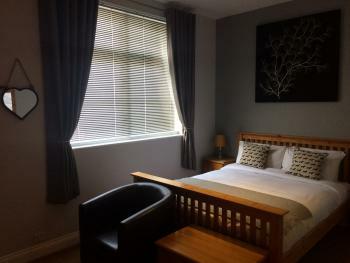 Tastefully decorated in soothing muted greys and blues with blackout curtains and venetian blinds to the windows. 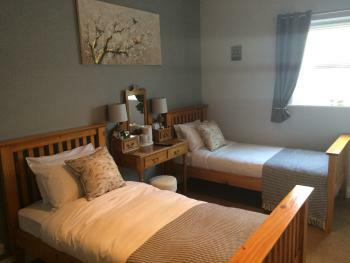 Ground floor room available. 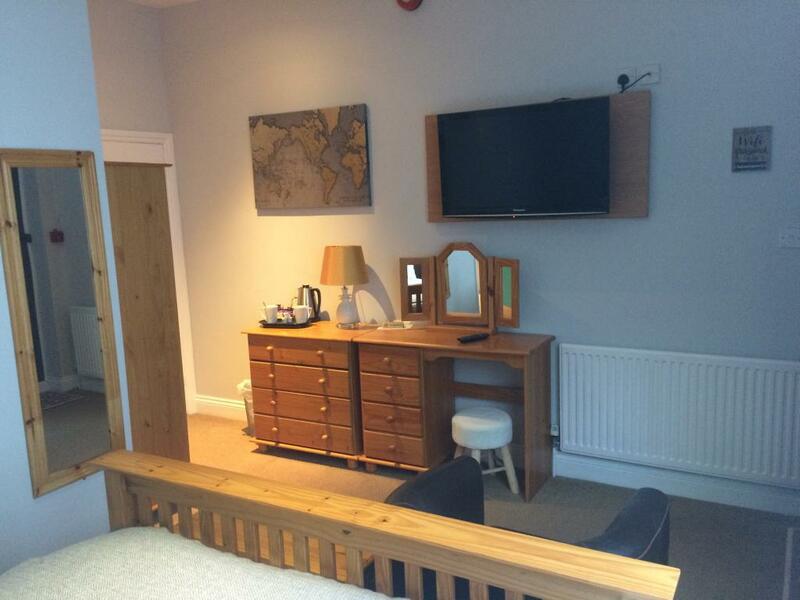 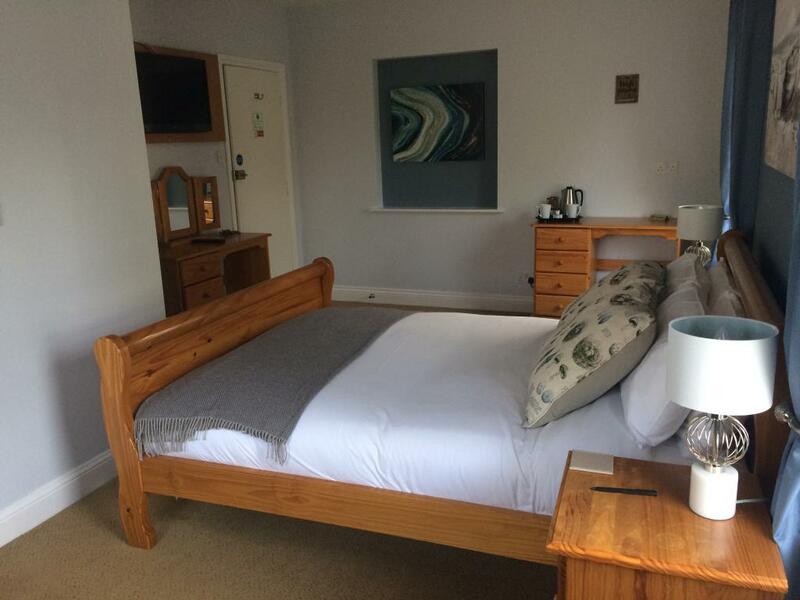 King size bedroom furnished with a comfortable King size and single bed, Freeview tv, tea & coffee making facilities, iron & ironing board, hairdryer. 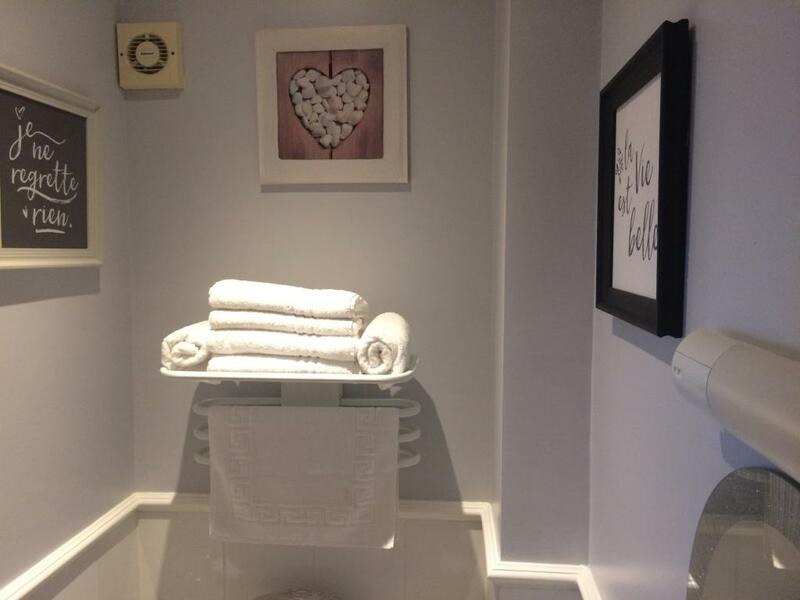 The modern en-suite is equipped with a bath and shower, environmentally friendly luxury toiletries and fluffy towels. 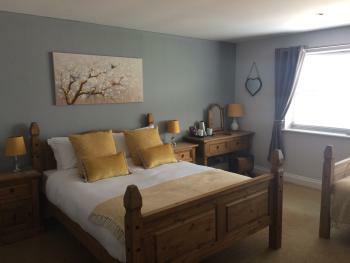 Tastefully decorated in soothing muted greys and blues with blackout curtains and venetian blinds to the windows. 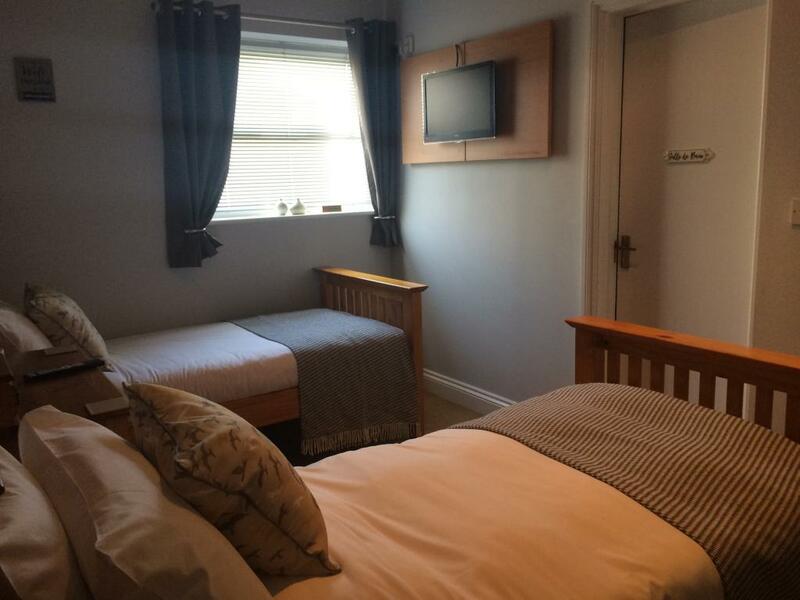 Double bedrooms are furnished with a comfortable Double bed, Freeview tv's, tea & coffee making facilities, iron & ironing board, hairdryer. 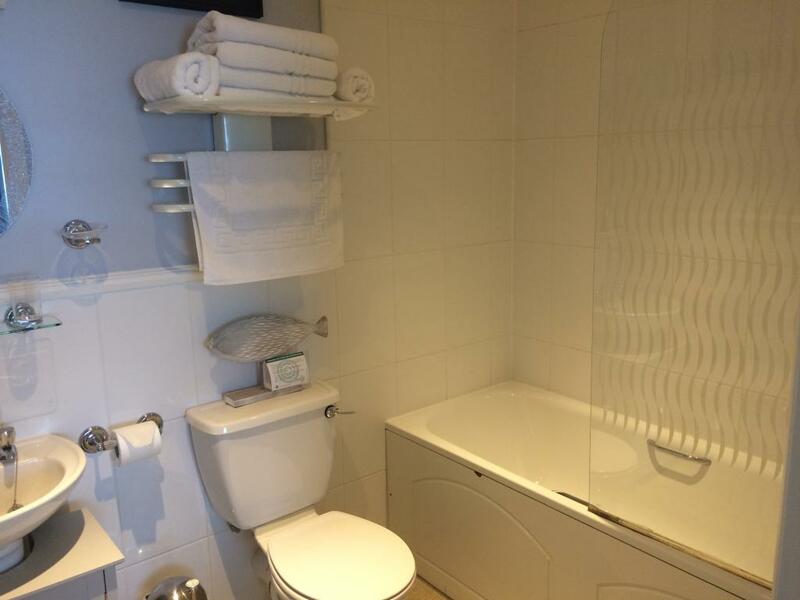 The modern en-suite is equipped with walk in shower, environmentally friendly luxury toiletries and fluffy towels. 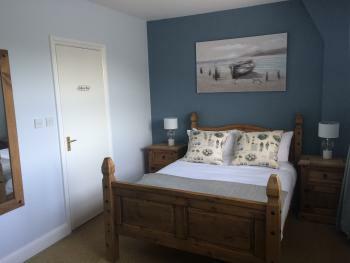 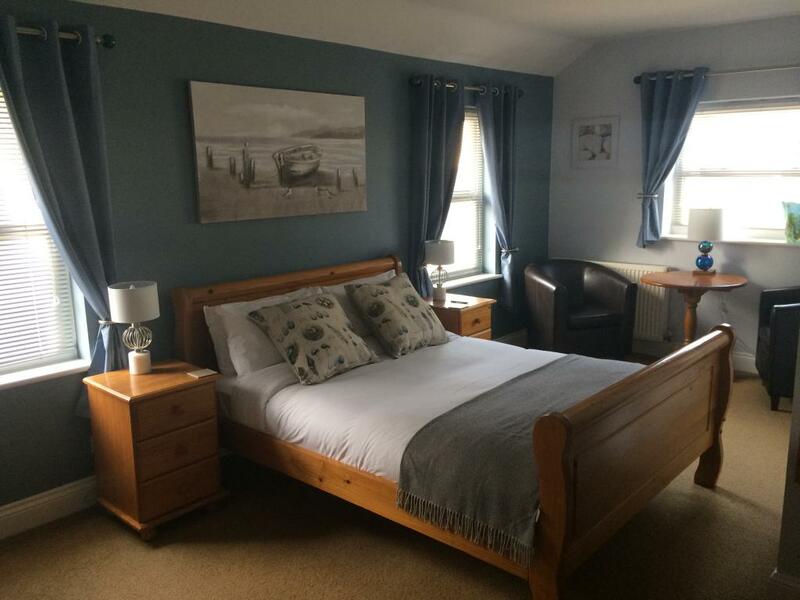 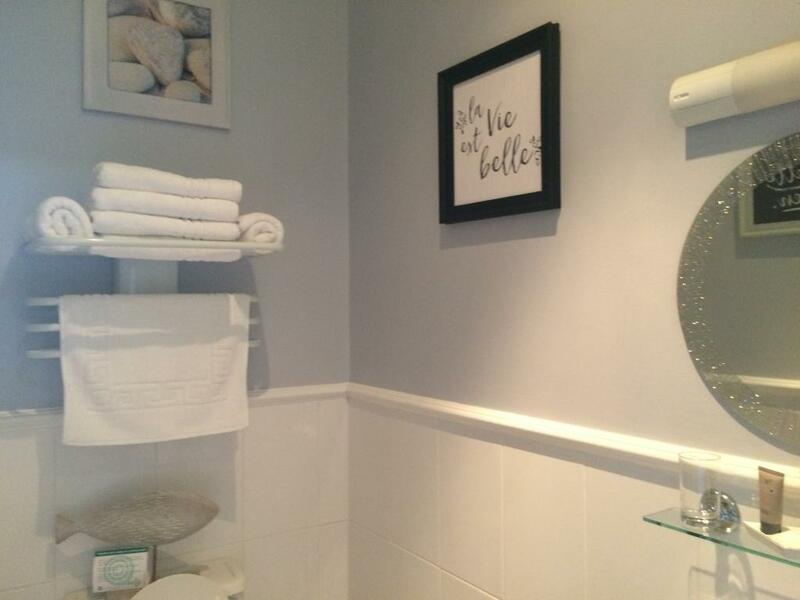 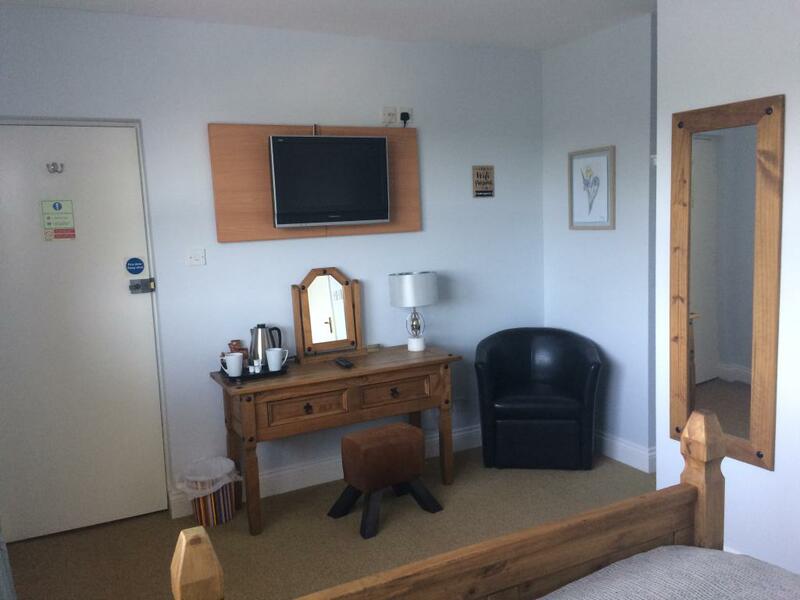 Tastefully decorated in soothing muted greys and blues with blackout curtains and venetian blinds to the windows. .
Twin bedrooms are furnished with two comfortable single beds, Freeview tv's, tea & coffee making facilities, iron & ironing board, hairdryer. 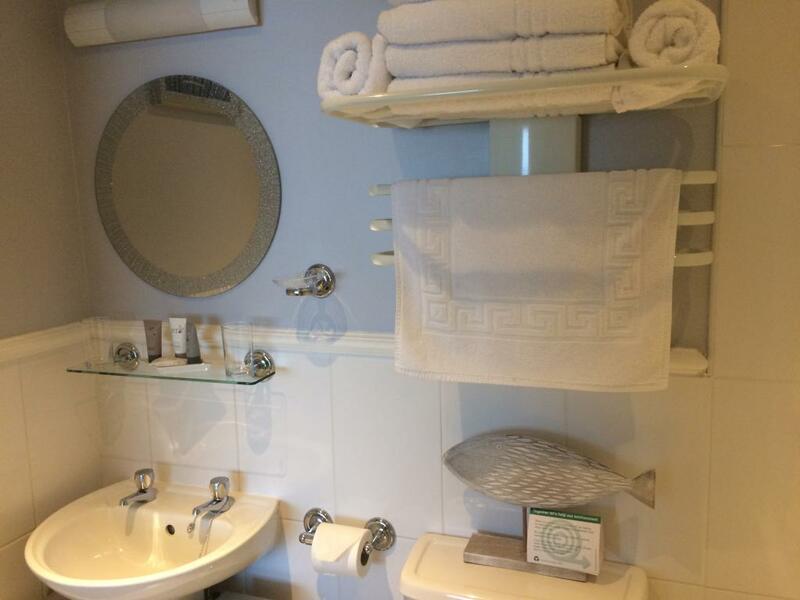 The modern en-suites are equipped with walk in shower, environmentally friendly luxury toiletries and fluffy towels. Tastefully decorated in soothing muted greys and blues with blackout curtains and venetian blinds to the windows.